Club Penguin Cheats by Mimo777 Club Penguin Cheats by Mimo777: Another Club Penguin Free Hoodie, You See! Club Penguin has another free code for us! YEAH! Here is how you get the free purple hoodie! The code to unlock this new Plaid Hoodie is: FreeHood. After you enter the code, you will receive your Plaid Hoodie item! This is very cool. And thanks to the 28 gajillion of you who told me about this. Sorry I can't list all of you. If you could have ANY free Club Penguin item what would it be?! it would be a free shoes! it keep on saying lost connection when i want to unlock it! I know the green one was legal because we checked with Club Penguin, but is this one legal too? I don't want to steal anything. 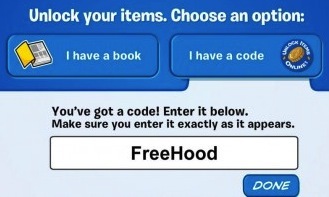 enter that code for a GREEN hood. !CODE CAN BE USED AS MUCH U WANT! hI Mimo My Penguins Name is Gtyghyy. How do You Unlock items?? hehe thnx anyway also there is a green one D23EXP11. They have been in a couple of the treasure books. Maybe you can find a toy from that series! I want the Black Hoodie! I think it would be, because it has never been in a catalog or treasure book. I wouldn' think the code would work if CP didn't want us to find it. Here's how to unlock items. When you log into Club Penguin, they will show you a list of servers. On the upper right hand corner of your screen, you will see a picture of a coin. Click on it. Click on "I have a Code". Enter your code, and there you go! Enjoy! After you log in, look on the server page in the top right corner. Click this and it will take you to a page that says I have a book, and I have a code. Click I have a code, and enter your code. Thanks for letting us know Mimo, or I would have never been able to get it! i would want an EPIC BETA HAT! Remember that post you made about Trainman1405 showing you this link http://play.clubpenguin.com/?rm=851 ? It still works, but takes you to base camp of the snow race, and you can follow it all the way into Herbert's cave ! Yup! Just type in D23EXP11 and you get it! It doesn't work if you already have it though. Guys, don't freak out. I remember people were scared about logging on to the Beta Team. Bottom line-Club Penguin can make sites blocked for certain penguins. They have security. They are smart, they know how to make their computers do the things they want them to do. There is no reason to be scared. If you are able to do it, then you can do it. SOME ITEMS FROM SERIES 14 TREASURE BOOK:Green Light Up Shoes, Cherry Pumps, Puffle Skate Shirt, Golden Quilted Coat, Emerald Necklace, The Jammin’, and The Raven. I would have an aqua hoodie! What I would like for free is the "Floppy Hat". My old penguin got hacked and on that penguin the "Floppy Hat" was my favourite. I hope CP keep adding free codes. Sadly, you can't get any free puffles unless you by a toy and enter that code you get in the teasure books (which has puffles). But the blue and red puffle anyone can enjoy for both 800 coins. I don't think clubpenguin would give these as a free object. Since it's not fair to the people who already have the boots (such as I). 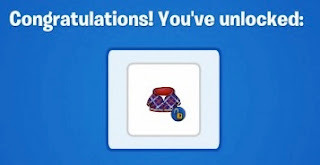 I would think clubpenguin would only give items nobody has for eveyone to be happy. You never know if the boots rockhopper will bring back. MAN THT HOOD IS SICK!!!! THANKS MIMO U ROK!!! Saraapril asked and Club Penguin said the purple hoodie is supposed to be for the UK only. I think the green one anyone can use is better anyway.